The KEF LS50 Wireless is already a popular active loudspeaker choice. The LSX offers similar benefits in an even smaller, more affordable package. But can it still deliver the sonic goods? When KEF launched the LS50 bookshelf speaker, it caused something of a sensation. It combined appealing looks, clever tech and giant-killing performance in a compact, user-friendly package. The British speaker maker’s next masterstroke was creating an active version of the LS50 dubbed the LS50 Wireless. With on-board amplification and performance-enhancing digital signal processing, the LS50W could straddle both lifestyle and specialist audio roles. 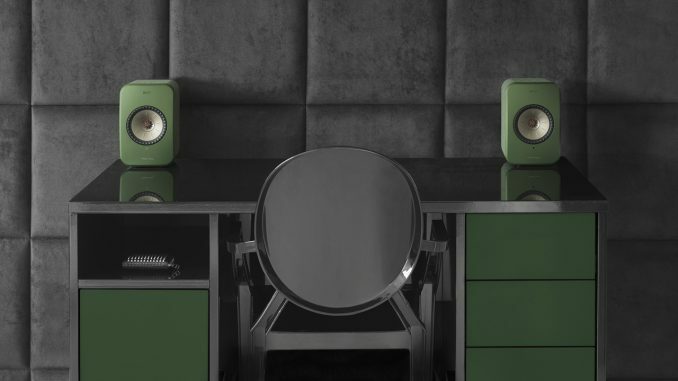 Late last year, KEF introduced the LSX – for all intents a scaled-down version of the LS50, with a scaled-down price to match, while offering even greater convenience. However, it raised the question whether the LSX had become too lifestyle-orientated. Could a speaker standing less than 25 cm tall still sound good enough to satisfy critical audio fans and music lovers? Or was the LSX merely trading on the reputation of its larger LS50W sibling? The LSX is indeed compact, but it packs a lot of tech. 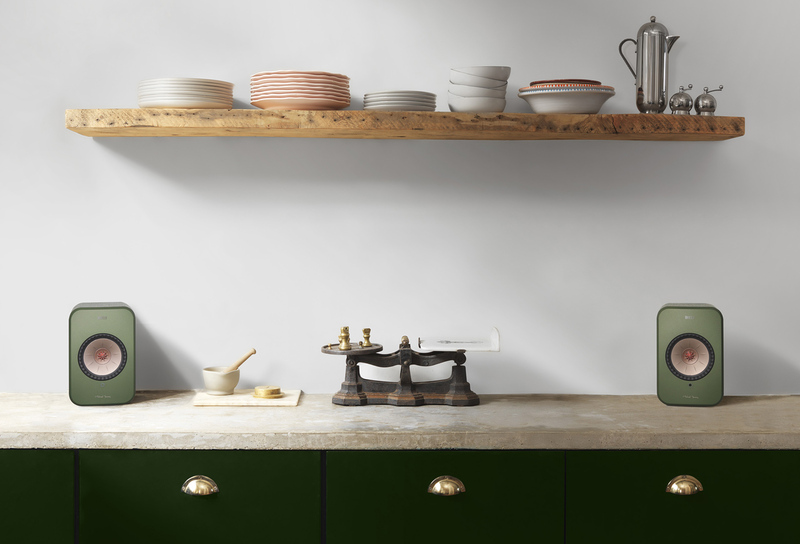 These diminutive active speakers are designed to operate as a wire-free stereo set with no need for ancillaries such as separate amplifiers or source components. They certainly look the lifestyle part, with a choice of bright colours and innovative, fabric-clad enclosures that are likely to polarise opinion, but will have the fashionistas and trendoids ooh-in and ah-ing in delight. Even from my own, arguably more pragmatic viewpoint, the LSXs look and feel appealing. The rear-ported reflex enclosures have a reassuring heft that promises both physical and sonic substance. 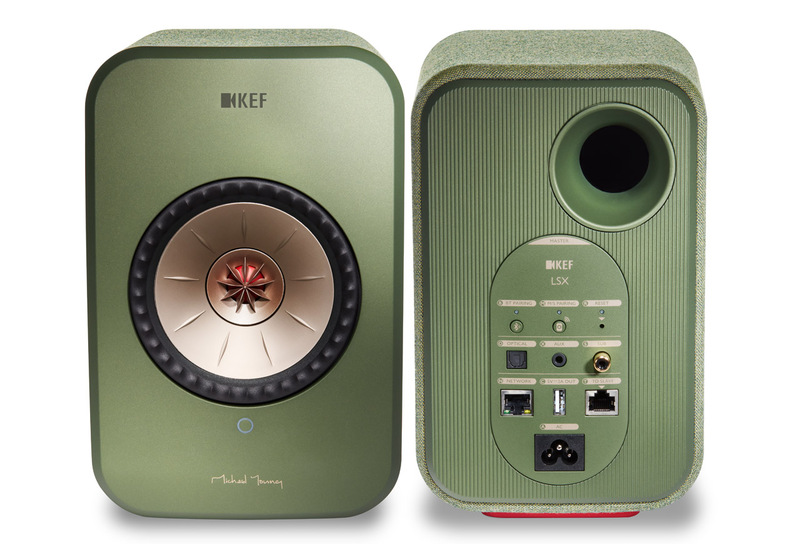 And yes, those bright colours add eye candy appeal, together with KEF’s equally eye-catching Uni-Q concentric driver. As mentioned, the LSX is reminiscent of the LS50 and LS50W, but it’s about 30 percent smaller. The stereo set consists of a master and a slave unit, but unlike the LS50W, the slave can be wirelessly paired to the master, making for an almost completely cable-free set-up. I say almost because the LSX speakers still need to be tethered to power cables, which also means you need to site them within reasonable proximity of a power outlet. Linking the two LSX speakers wirelessly also limits audio performance – at least on paper. Resolution is restricted to 48 kHz/24-bit resolution – which is still better than CD quality. Those who want higher-res 96 kHz/24-bit operation need to link the two speakers with the CAT5E cable provided. The LSX can be connected to a home network via Wi-Fi or Ethernet, and while the former is attractive from the no-wires perspective, and works trouble-free as long as there is a strong signal, those who habitually play back high-res files from a NAS may find a wired Ethernet connection more reliable. The master speaker offers a rear control panel that has connections for Ethernet, Toslink optical, and an analogue stereo minijack input, allowing the wired connection of sources such as a turntable or a CD player, for instance. There is also a subwoofer output. Don’t be fooled by the USB socket, though: it’s not an input for storage devices, but rather serves as a way to charge mobile devices – useful if you’re actually using that device to stream music to the KEFs. Talking of streaming, the LSX offer integrated support for Tidal and Spotify, and can source music files from NAS devices. Bluetooth 4.2 utilising the aptX codec allows smart devices to be connected wirelessly, opening the door to playback from other streaming sources such as Deezer and Apple Music, for instance. 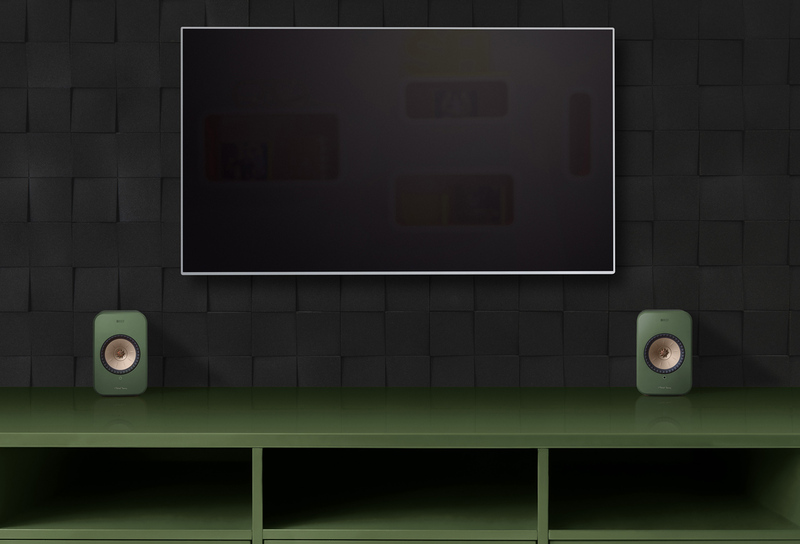 Apple AirPlay is also supported. Control is via a pair of cellphone apps – a bit of a clunky arrangement, and KEF would do well to look at ways to merge the functionality of the control and streaming apps into one – after all much of the user experience relies on the intuitiveness of the apps. For those who have discovered the multiple benefits of the Roon music management system, the good news is that the system recognises the LSXs as a Roon endpoint, which means you can effectively use Roon and Roon Remote to stream directly to the KEFs. The LSX may be small, but it’s big on tech and innovation. 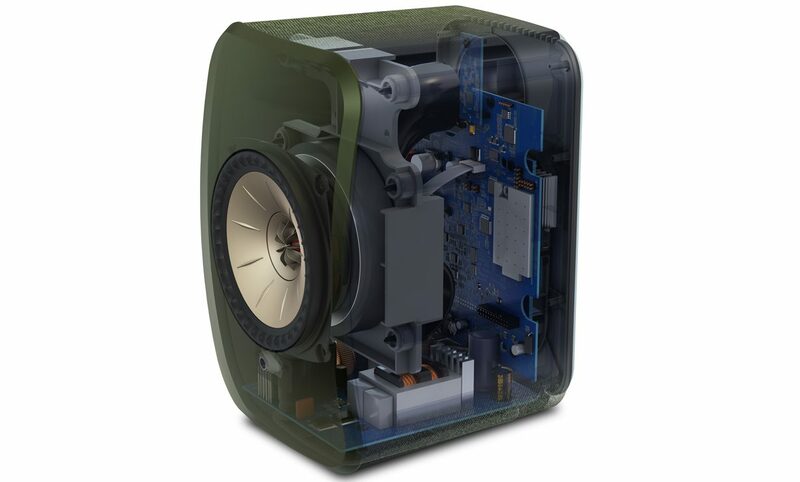 The Uni-Q driver array, effectively a coaxial speaker with both mid/bass driver and tweeter aligned on the same axis to enhance coherence, focus and imaging, is a well-established KEF development, and has been specifically tailored for its application here. Here, it consists of a 115 mm mid/bass driver utilising a magnesium alloy cone, coupled with a 19 mm vented dome tweeter. Each LSX gets a pair of Class D mono amplifiers, driving the tweeter and mid/bass individually. The amps are paired with dedicated D/A converters operating at up to 96/24 as mentioned, or 48/24 if master and slave are linked wirelessly. Of course, the LSX will accept higher-res data streams up to 192/24, but will downsample those accordingly. DSD is not supported. The LSX is equipped with a proprietary digital signal processing system that uses bespoke algorithms to enhance performance. Included is a series of selectable EQ settings, either accessed via easy-to-understand presets based on how and where the LSXs are positioned, or directly via adjustments to parameters such as high-pass and low-pass filter points, phase, treble trim, and subwoofer-specific settings. The LSX review pair was shelf-mounted, and positioned quite close to the room’s side walls, about 3 metres apart. Network connection was via Ethernet, although I also tried Wi-Fi, which worked perfectly. The master and slave units were linked wirelessly throughout, and while tethering them allowed higher-res playback, I never felt that the slight audible improvement (a bit more air and detail) was worth the hassle of the extra Ethernet cable. Installation and set-up was painless and easy, although as mentioned, I found the two-app arrangement – one for control, one for streaming – clunky and counterintuitive. I also experienced problems when trying to stream Tidal natively via the KEF streaming app: playback was intermittently interrupted, regardless of whether the KEFs were hooked up to the network via WiFi or Ethernet. Spotify showed no such issues, and Tidal streamed perfectly via the Roon app, including high-res MQA-encoded files. Disappointingly, a support request logged with KEF remained unanswered. The glitchy Tidal was the only functional shortcoming experienced. All other services operated seamlessly, including navigating and sourcing content from the Synology NAS on my network, and hooking up an Apple iPhone to the LSX via Bluetooth and AirPlay. Sonically, the LSXs exceeded expectations at every level. They delivered their musical wares with an enthusiasm and generosity that made them sound much bigger and bolder than their diminutive dimensions would suggest. Not only that, but the tonal spread was generous, too: shelf-mounted and positioned close to side walls but away from corners, the bass response was pretty impressive, if not exactly in the window-rattling league. I was particularly impressed by the imaging, which was pin-point accurate and finely focussed, allowing the KEFs to create a large and well defined sound picture with plenty of definition and a real sense of depth and dimensionality. The LSX’s mirror their larger LS50W siblings in their ability to become invisible as point sources, adding to the sound’s sense of seamlessness, and creating an inviting, engaging performance that easily draws the listener into the music. 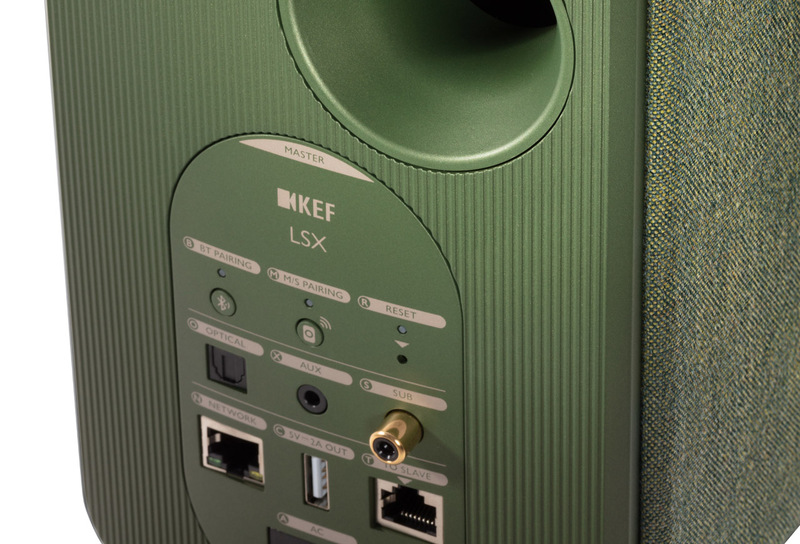 There’s ample oomph from the on-board Class D amplification, too – the KEFs were happy to deliver the goods at higher listening levels without any sign of impending clipping, and lacked nothing as far as pace and momentum were considered. Kick drums had plenty of slam, bass guitars were rendered with ample power and precision, and there was an inherent energy and brio to the delivery that made the music come alive. On actor-turned-bandleader Jeff Goldblum’s sassy and enchanting The Capitol Sessions, the KEFs easily accommodated the swinging scale and lilt of the band, while capturing the enthusiasm and appreciation of the live recording’s audience. The LSXs never sounded like small speakers trying to sound big, delivering a tonally rich sound and a surprisingly powerful and succinct bass performance. Staging was expansive, and imaging so detailed that it was easy to pick out the exact positioning of individual performers. Paul Weller’s True Meanings sounded lifelike and incisive, with the little speakers delivering loads of pace and momentum. On ‘The Soul Searchers’ the articulate bass underpinning the song was delivered with as much verve as the sleek guitars and boisterous synths, with Weller’s reflective vocals closely examined. 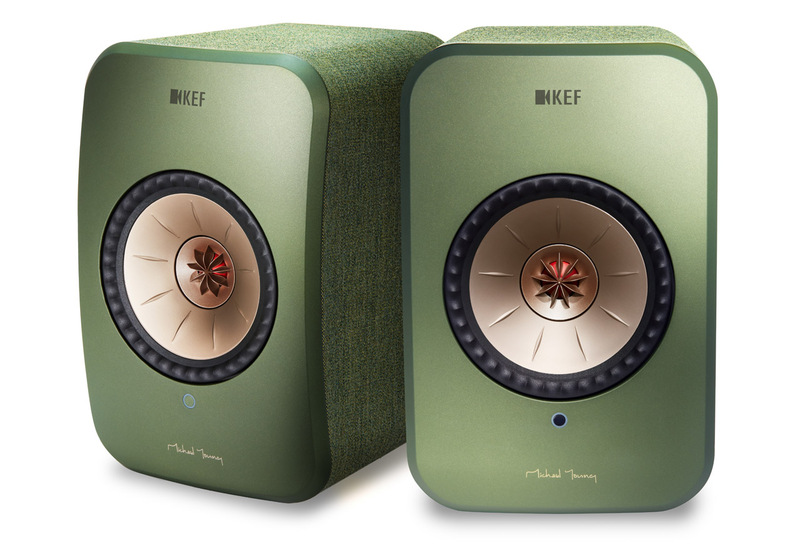 Again, the KEFs impressed with the generosity and dimensionality of the soundstage, linked to their absolute transparency, to create a room-filling, thoroughly engaging sound. The title track from the late great guitarist Jeff Golub’s Train Keeps A Rolling set is a fast-paced, fusion-laced jazz piece, filled with Latin-styled percussion, lyrical synths and Golub’s clean, fluid riffs. The LSXs again showed off their propensity for sonic generosity, spreading the music wide and deep, and creating a sense of three-dimensionality quite at odds with their compact physical presence. Big on tone and big on momentum, the KEF LSX are the biggest small speakers I’ve heard in a long time. Their size and wireless capabilities makes them easy to accommodate, even in smaller spaces, and they don’t need special stands or isolating platforms either. Whether you choose an unobtrusive colour or a brighter hue, the LSXs have strong llifestyle appeal, and they look good in any setting. But it’s the sound these tiny tots deliver that makes them the sonic showstoppers they are. Wide, deep and dimensional, with loads of impetus and a decent dose of bass, they can boogie with the best of them. However, there’s also the kind of detail, refinement and transparency that will keep even critical listeners happy, which makes these KEFs good enough to be considered for primary listening, and not just as a lifestyle system for background music. Add the convenience of the active configuration, streaming capability and wireless operation, and KEF has created a winner. Yes, they are small, but the LSXs offer a big musical package for the money. – Tweeter: 30 watts RMS.